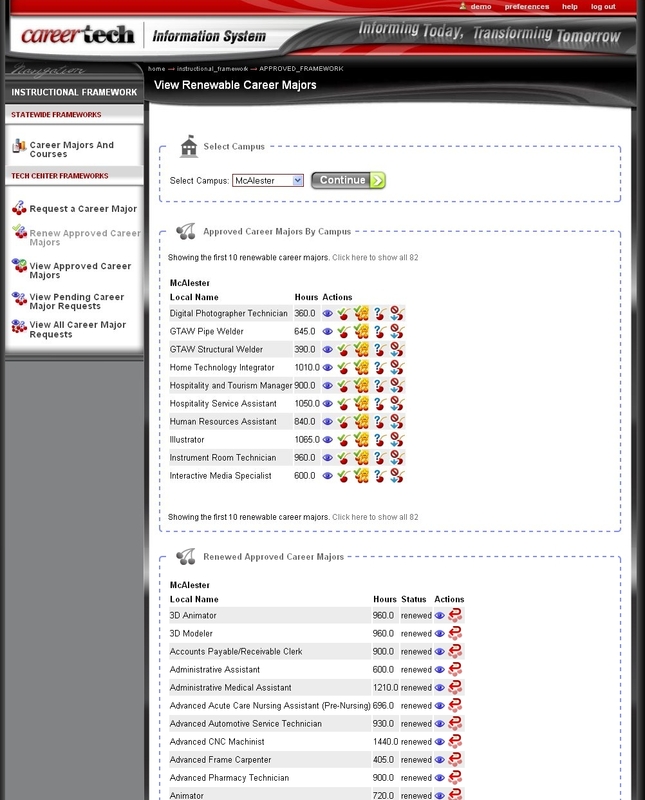 Directions to navigating to the career major renewals. 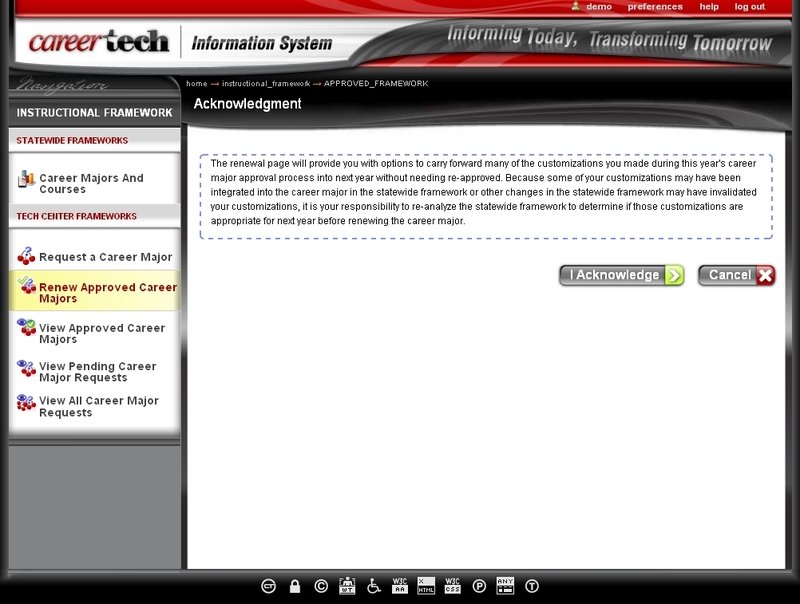 Under "Instructional Framework: Tech Center Frameworks", click on "Renew Approved Career Majors". 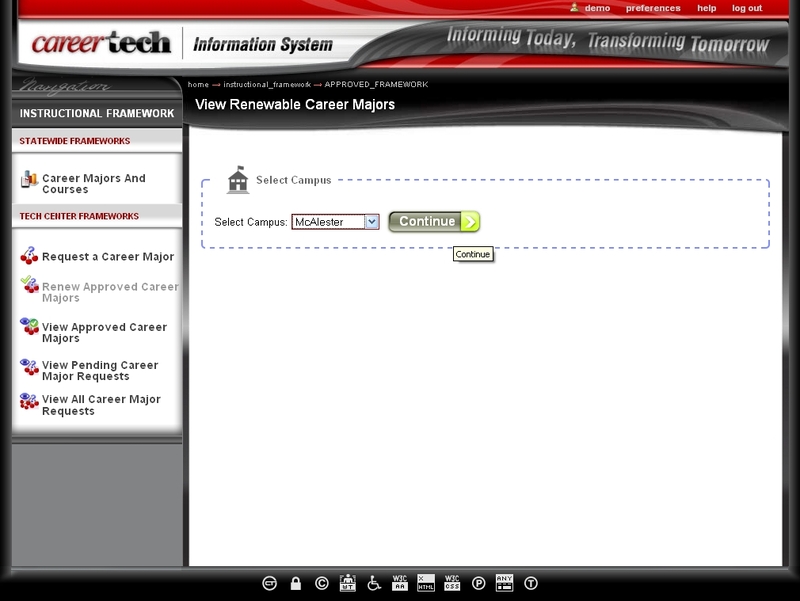 If a mistake was made and a renewed career major needs to be reverted, click the undo icon next to the career major in the "Renewed Approved Career Majors" section.